As many of you know my thoughts get to bubbling and boiling now and then on issues of truth. What is truly true? What is financially profitable for those who declare truth? Why are we so ready to believe authoritative statements of so called fact just because they have access to media, speak louder and longer, and often sport impressive degrees utilizing just about every letter of the alphabet? I have been knocking back three or four books a week lately and the latest was an interest book by Brian Clegg called Gravity which is intriguing as long as I jump over some statements such as, ‘It says that the square of a planter’s orbital period is proportional to the cube of it semi-major axis.’ Clegg then goes on to explain that sentence that in no way added clarity for me, but aside from that the book really does hold worthwhile information that my plebian brain does understand. Now don’t run off yet because here comes the crux of my thoughts. Science, which I once thought was solid is probably the least solid of any subject matter. The current definition of Hypothesis is: 1. A supposition or proposed explanation made on the basis of limited evidence as a starting point for further investigation 2. a proposition made as a basis for reasoning, without any assumption of its truth. I love number 1! ANYONE can make a supposition on the basis of limited evidence! and do! And in many cases the public buys it. Basically hypothesis is my favorite question – What If. See I used to think Sciences were confirmed truths and I am not the only one. It seems folks just like to grab onto an idea and declare it truth: the earth is flat, the heavens rotate around the earth, man is the center of existence. Copernicus, Galileo, Newton, Huygen, gradually dispelled these ‘hypothesis becomes truth’ ideas though not without effort. I find it amusing that scientific truths that change as new discoveries are made are heralded and brand new discoveries. Yipee! When the fact is that the truth has always been there, we just haven’t noticed it yet. Michael Crichton, in one of my fave books TimeLine says in the Introduction; ‘By the end of the nineteenth centyr it semed that the basic fundamental principlels governing the behavior of the physical universe were known.’ And the same was true at the beginning of the twentieth century. But explosive new information continues to change the world. Man as in HUman continues to be surprised. Perhaps the surprise is at their own ability to continue uncovering layers of knowledge. But I digress – badly – horribly. What really got me on this train of thought is not ever changing scientific principles but ordinary every day things we take as truth. I’ve said it before and will continue to say it, she says with that more dinosaur rather than guru wisdom, we, the people need to embrace some of the mindset of the sixties – question everything and believe nothing you are told with out careful examination. Take something as simple as our Hydro (electricity from water), although most of you probably just call it electric as sources include nucleur power, wind generated power..etc etc. Now here in Southern Ontario, sometime ago suppliers started advertising that the cost of power would increase dramatically but the common folk should rejoice because the government was going to install Smart Meters. 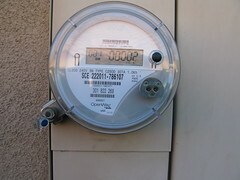 Why to prevent the increased cost you just had to let your life be guided by Smart Meter. Occassionally someone on the six o’clock news will say that regardless of when they use electricity the prices have skyrocketed. So I took a look at the ‘rules’ to save money on the Smart Meter. Hypothesis are fine as long as they are not accepted as truth. The truly great minds intended, I believe, that they be a jumping off place for investigation, but gosh darn we are so hungry to feel “Truth’ we want to leap frog over the points and make it true by saying it’s true. 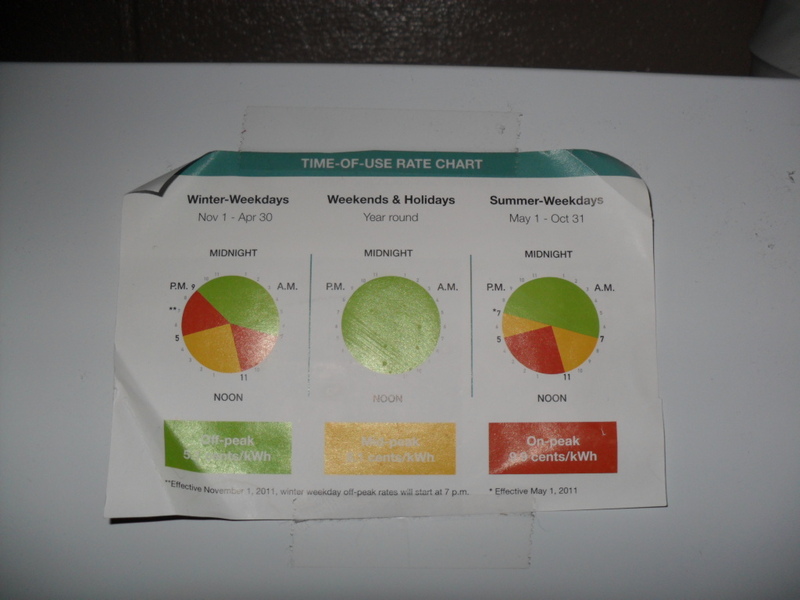 Now just to explain Mr. Smart Meter’s secret plan for winter – our current season: (keep in mind a family of four as an example). If you wish to be truly cost effective you can only use hydro from 9pm to 1am. That’s the time to run appliances, heat, cooling, cooking, bathing/showering, laundry. Now lets look at the most expensive time to run hydro: 5pm – 9pm and 1am to 11am Seems to be that pretty much covers essentials like eating, bathing unless you insist the evening meal be taken at about 4pm and keep the kids up til 9ish for perhaps a snack because nothing else can be gotten until after 11 am (late late brekkie). Summers are pretty good and weekends and holidays are also reasonable. But the big nasty gobbling everything we have hydro company makes winter the most distasteful season and the most expensive. 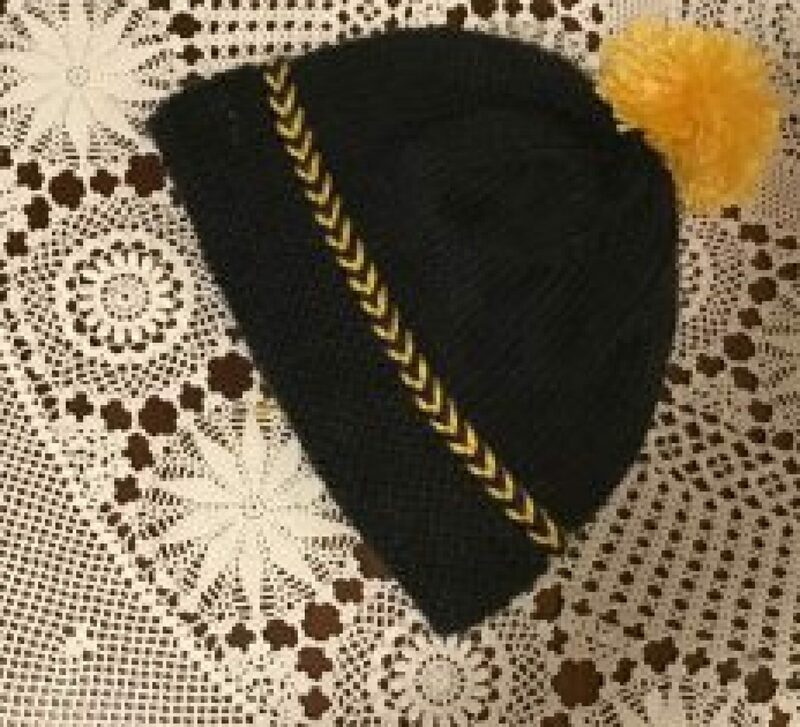 Just think if we could spend November to May each using no electricity we might actually have some money in our pockets to head south for 6 months not for luxury but necessity. *And NO Ontario Power /Hydro – I will not accept your definition of the highest used times for winter. You would have to do some mighty big talking to get this girl back on the robotic farm of truth acceptance. 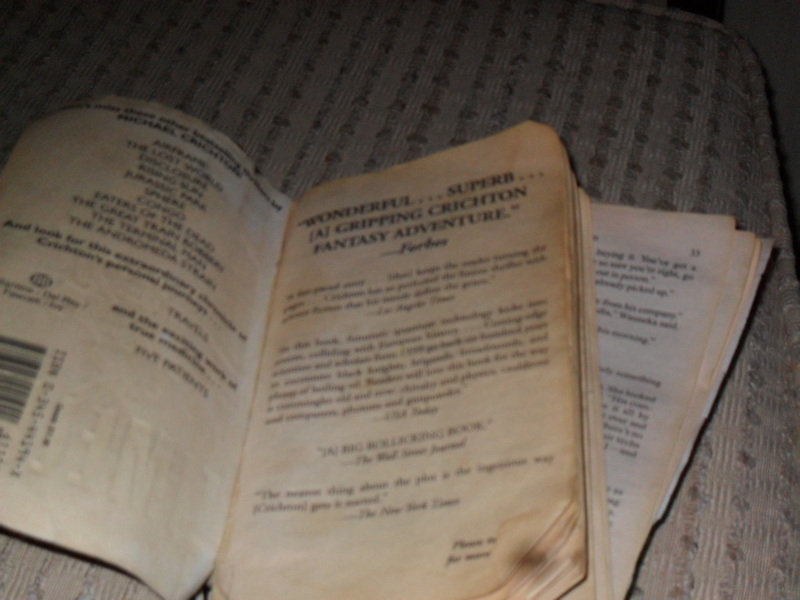 What moves you to reread a particular book or rewatch a movie? It may be of course that you do not ‘re’ either books or movies but I do and there are a handful (or more) that top my list. 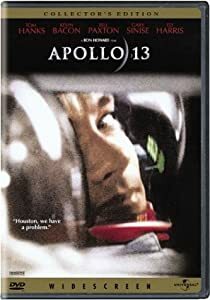 “Apollo 13” starring Tom Hanks and Gary Sinese is THE movie which was based on a book by Jim Lovell. 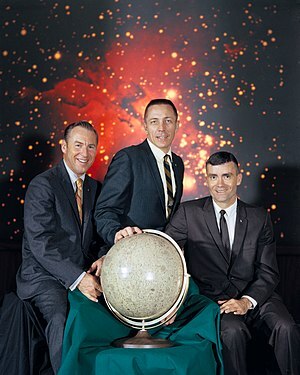 I think it was 1970 when Lovell, Swigert, and Haise headed off for the moon, following in the footsteps of Neil Armstrong. Initially the press wasn’t much interested as it had all been done before, that is, until disaster struck. I remember the actual real life event and yes the announced flight was sort of ho hum and then the world watched. We never left Walter Cronkite for a minute. Each time I watch the movie I wait, holding my breath in the exact moments they have to establish communication after doing a burn to enter the earth’s atmosphere. And each time my eyes fill with tears. I can’t help it. Yes I know the ending. Again. And again. And again. A part of my brain says, go do something useful, you know this story and how it ends. And another part of my brain says, leave me alone to live in the moment. You see? I think it is all about living in the moment. Really feeling and valuing every minute. The ending almost doesn’t matter. It is experiencing the moment when all fears, all hopes, come together. 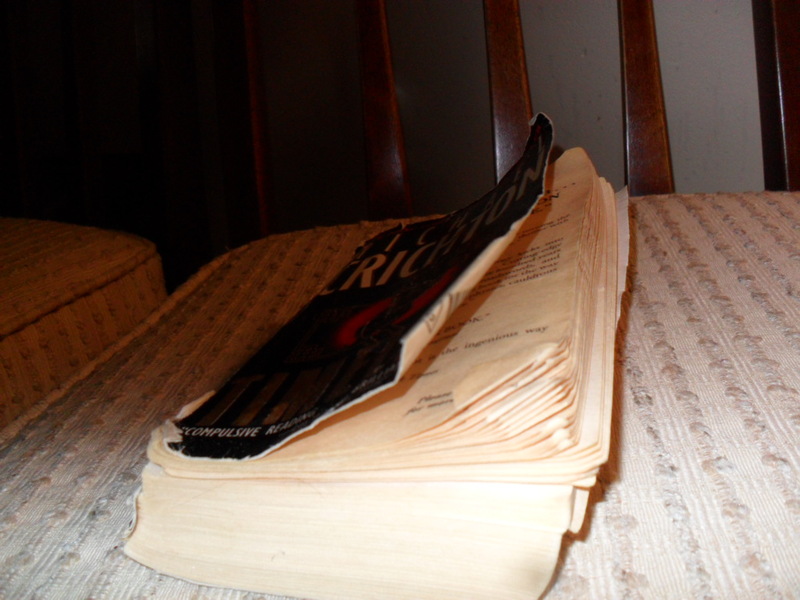 Now I have a number of rereads when it comes to favorite books. I have them close at hand to pull out every few months or every few years. 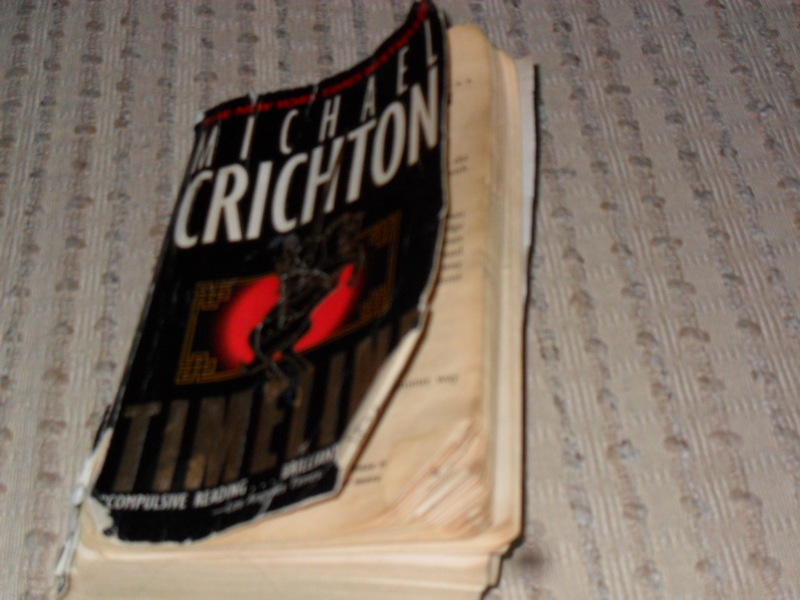 One absolutely gripping story, and yes it is still gripping is Michael Crichton‘s TIMELINE. Good heavens that man was consistently entertaining whether it was The Andromeda Strain, Jurassic Park, or TV’s ER. The man was a writer and story teller par excellence and I for one miss him very much. The telling moment in that book, you know the one where I lose all connection to the sane voice that says, Chris you know how it ends, comes when the Professor, and Kate and Chris are ready to return and Marek continues the fight and finally tells them to leave him. It is less a story about time travel and more about connecting with multiverses (multiple universes), and one man’s sacrifice – which still ends well and gets him the fair Claire – and the evil of huge corporations with way too much money hanging around. It is a marvellous story and I recommend to any who have not read it. But again, the story is so well written it is about living in that very moment. I think sometimes life gets so busy for us that we forget to appreciate moments by rushing ahead to the next thing we must do, and I always think it is wonderful that there are story tellers out there that touch our hearts, regardless of frequency, and remind us to live in the moment. Do you have a favorite moment reminder? Not Understanding Quantum Physics or Hawking ‘s A Brief History Time and Loving it! All things universal, time, beginnings and endings intrigue me. I have read A Brief History of Time more than once, and will continue to read a few more times as each reading helps me understand a little more. 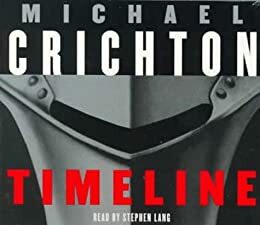 My interest in Quantum Physics started with references Michael Crichton made to it in his book Timeline. Which I also read repeatedly as it’s a darn good novel. But it is publications not related to fiction that catch my interest. I also understand that there is lots of updated info since the publications of these books. My twin city Waterloo has grown to become a world respected centre in Physics and multiple other sciences related to these endeavors and Stephen Hawking sits as a researcher at our Waterloo Perimeter Institute and has since 2008. Richard Feynman who apparently understands Quantum Mechanics better than anyone is credited with saying, “Nobody understands Quantum Mechanics.” and that is the one line that made me think, heck if no one including the experts do not understand it then I can be comfortable in searching it out and I don’t have to feel like an idiot because no one understands it! Somehow this all ties into my thoughts on the universe and our connectivity with It and each other. Our universal mind. Could I carry on a conversation with those in the know? Absolutely not. Would I like to stand in the presence of these great minds? Absolutely. I will continue to seek, to learn, to dream though because after all this is the new frontier and I do so love having my brain tickled by the very thought.